Ready to upgrade to a sedan that knows how to blend style, performance, technology and efficiency seamlessly? If so, then you’ve probably considered the 2018 Toyota Camry and the 2018 Honda Accord. Both of these sleek sedans offer eye-catching design, upscale comforts, fantastic fuel economy and plenty of modern technologies delivering everything you need to keep you safe and entertained on your travels. However, check out the information below to see why the new Camry wows the crowd and stands out from the competition. 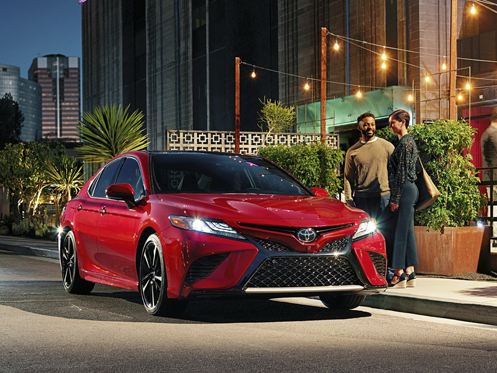 The new 2018 Camry was designed to go the distance without sacrificing power to do so. Thanks to impressive powertrain options combined with the newly developed automatic transmission, you’ll appreciate the increased fuel efficiency while enjoying the thrill out on the open road. 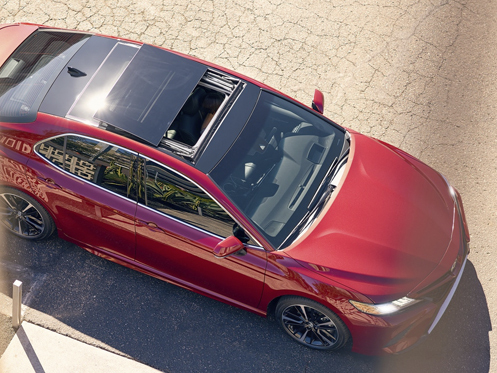 When it comes to up-to-date amenities, the new Camry delivers and then some. 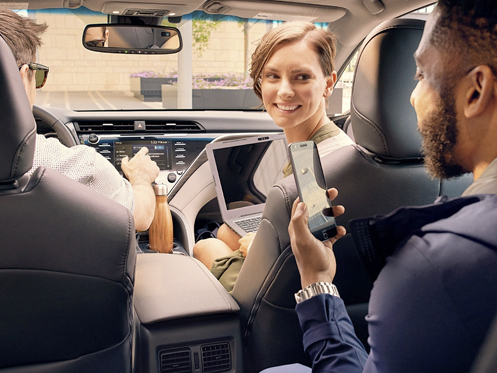 Everywhere you look, you’ll find yourself surrounded by integrated technologies like Siri® Eyes Free and Bluetooth® wireless technology, delivering endless entertainment and connectivity while allowing you to keep your focus on the task at hand. Safety comes standard with every new Camry model so you can drive with confidence and put your mind at ease behind the wheel. Thanks to the impressive Toyota Safety Sense™ P (TSS-P), featuring a Pre-Collision System with Pedestrian Detection (PCS w/PD) and Lane Departure Alert with Steering Assist (LDA w/SA), you can rest assured your stylish sedan has your back when you need it most. When it’s time to upgrade and you want a sedan that not only delivers fuel-efficient power and amazing amenities, but peace of mind everywhere you go, then look no further than the 2018 Toyota Camry. When it’s time to upgrade, choose Johnson City Toyota for an exceptional car-buying experience. 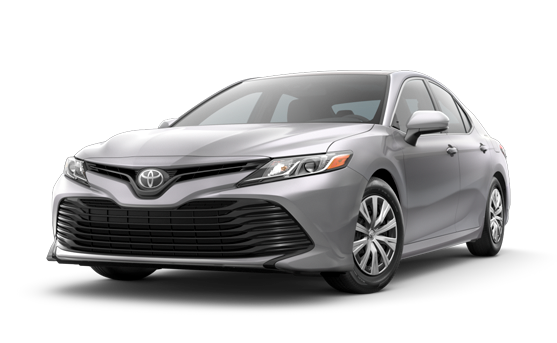 If you’re interested in driving home a new 2018 Toyota Camry, give us a call or stop by Johnson City Toyota at 3124 Bristol Highway, Johnson City, TN 37601 for a test-drive today. We look forward to serving our customers from Johnson City, TN, and throughout Bristol and Kingsport, TN.